Jaguar Colorado Springs in Colorado currently has this gorgeous Jaguar XE 25t luxury sedan in our Approved Certified Pre-Owned inventory! If you are interested in a gently preowned Jaguar vehicle, then this 2017 Jaguar XE 25t is perfect for you! Equipped with a 2.0L I4 16V Turbocharged engine, you should get an estimated 21 MPG city/30 MPG highway! This model is also equipped with the Cold Climate Package, emergency communication system, LuxTec Seat Trim, brake assist, Jaguar 80W Sound System with 6 Speakers, and so much more. Plus, this Jaguar being APPROVED Certified Pre-Owned means a warranty for 6 years/100,000 miles – more warranty coverage than a new one! 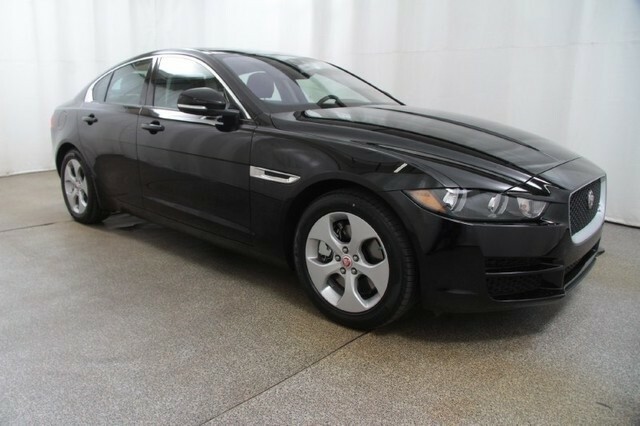 Stop in today to take a test drive of this gently used Jaguar XE 25t. With less than 900 miles and priced at less than $34,000, you will get an amazing car at an unbelievable price. Visit today and drive home in this dream sports sedan!